On the 25th of March the Incorporations Marketplace went live. This is a huge milestone which allows users to open a business abroad and pay for it with KEY. The first all-in-one desktop solution to manage your digital identity and your Ethereum Tokens. 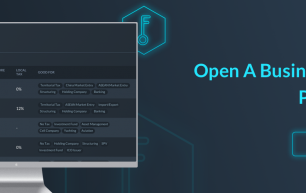 Download the SelfKey Identity Wallet Beta and take the first steps towards truly owning your identity. We are delighted to announce that the Incorporations Marketplace will.